Cornwall has some of the most diverse and interesting places to visit of any part of Britain, including the brand new Eden Project. Historic Cornwall - castles on cliffs, country houses, standing stones, great and glorious gardens, Cornwall's mining past, museums and heritage centres. 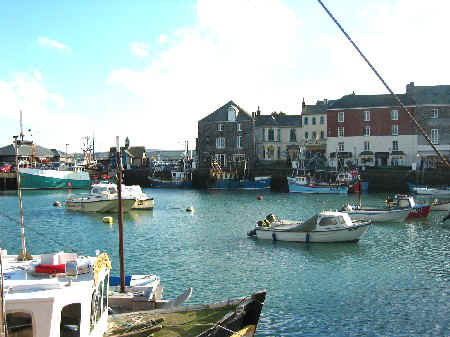 Inspirational Cornwall - the Tate at St. Ives, the Newlyn gallery, potteries, contemporary exhibitions, open air and indoor theatre. 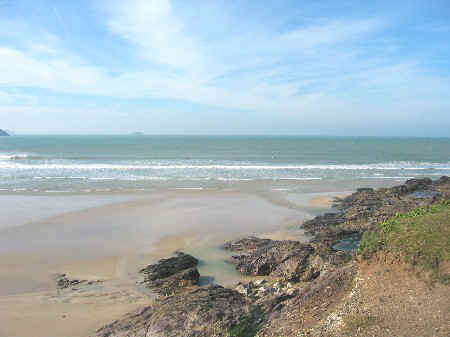 Lively Cornwall: family adventure parks, cycle trails, bowling, aquariums and animal sanctuaries. Two gigantic geodesic conservatories, why not view Eden - before the rest of the world discovers it, It will be something to tell the grandchildren about. Wadebridge is a 15th century market town founded on the wool trade.The 17 arch bridge over the River Camel, built in 1460 still stands today.Wadebridge's central location means that the area is ideal for exploring all that North Cornwall has to offer.The Camel Trail is Cornwall's largest free attraction. 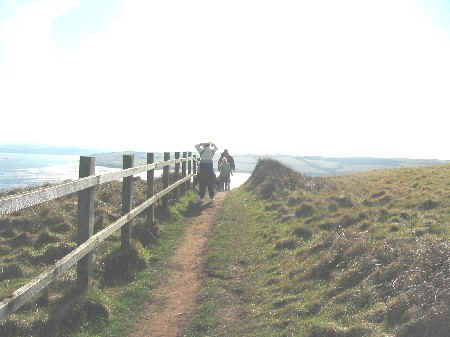 The coastal foot path (above) provides many possibilities for exhilarating views and reaching beaches and coves inaccessible by any other means. The Minack Theatre is a uniquely situated open-air theatre on the cliffs at Porthcurno, near Lands End. The Theatre hosts a 17 week season of plays and musicals throughout the summer from May to September. The Rowena Cade Exhibition Centre tells the story behind its creation. 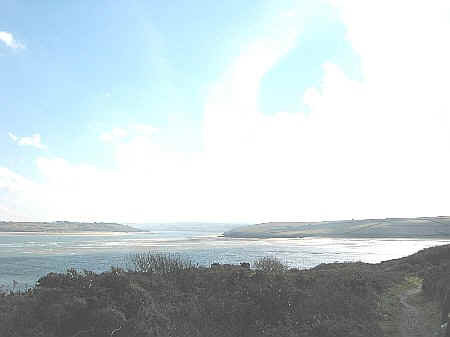 Overlooking Falmouth, with superb views across the Fal Estuary. Throughout its 450 year history Pendennis Castle has played a vital role in protecting these shores from invasion. Today, visitors can see how the Castle developed from the days of Henry VIII to the coastal defences of the Second World War. Set on the rugged and awe-inspiring North Cornwall Atlantic coast stands the remains of the 13th century castle. Tintagel has an air of myth and mystery associated with King Arthur and Merlin the magician. This medieval house takes time to explore, and you should plan to arrive early and spend a day here. A restaurant, tea room, shop, plant sales and craft gallery will help you make the most of your visit. One of Cornwall's grandest houses originally built in 1651, set in a glorious landscape of gardens, parkland and woods overlooking the valley of the Fowey River. Largely rebuilt after a fire in l88l this Victorian house has 49 rooms open including, Kitchens, Nursery Wing and original Long Gallery. Family owned and lived in Georgian House, 50 acres of formal and woodland gardens. National Heritage Award winner 1997, 1998 & 1999, as voted for by members of the public. St.Michaels Mount - The jewel in Cornwall's crown, this magical island has a church, a medieval castle (home of the St Aubyn family for over 300 years), an exotic garden clinging to the steep flanks, and an ancient harbour where you will find shops, restaurants and an audio-visual presentation on the history of the Mount. This tranquil garden and estate is renowned for its glorious position at the head of Carrick Roads, with panoramic views down the estuary towards Falmouth and the sea. away from the world in a web of narrow lanes and still somehow caught in the spirit of its age. Behind the Dutch-style gabled facade are ornate fireplaces, elaborate plaster ceilings and a collection of English furniture of the highest quality.